Most people have done a Caribbean Cruise, but there are many other unique cruises in the world. We've had the luck of taking a cruise on every continent. While a Caribbean cruise is fun, it's the other more unusual cruises that have been the most memorable for us. From the Arctic to Antarctica and the Orient to the Amazon. Enjoy! Most people start in the Caribbean and then branch out to other types of cruises. We started with the unique cruises and have only done one Caribbean Cruise. We probably won't do another Caribbean for awhile, but we'll continue to do the interesting cruises around the world. it's a great way to explore the earth! This is the mother of all unique cruises for your holiday. 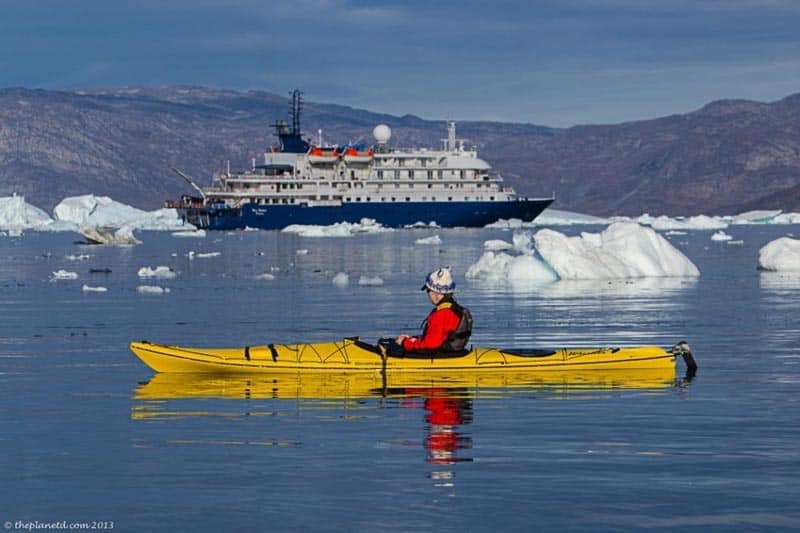 We were fortunate to explore Antarctica in style with Quark Expeditions on the Sea Spirit. If you think an Antarctic expedition is a bare bones experience, think again. The Sea Spirit was an all suites ship with 5 star dining, elegant lounge, open bar and even a hot tub. Not only was it the greatest adventure of our lives it was a luxurious experience where we had thrills during the day and relaxing elegance at night. 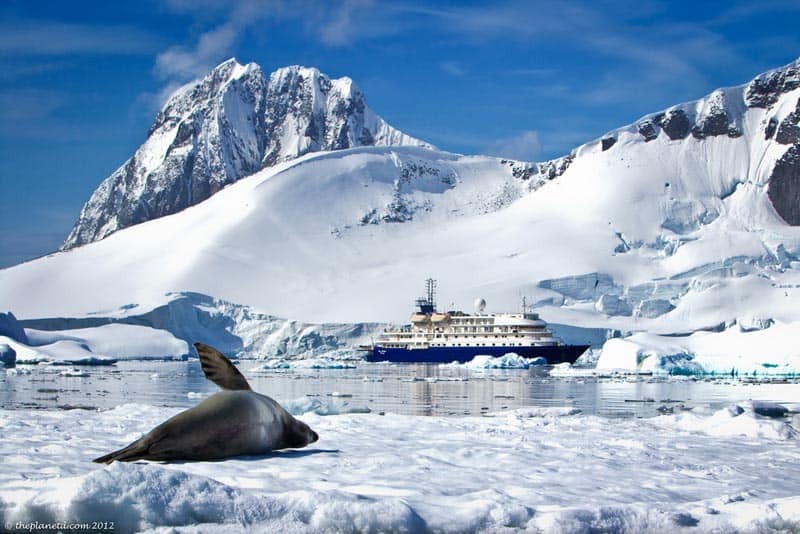 The scenery and wildlife in Antarctica is to die and you will have to pinch yourself every moment of the expedition. There is so much to say about what you can see and do in Antarctica, we have to send you to our What to Expect on an Antarctica Expedition. Otherwise, we'd end up taking up the entire post on this trip! 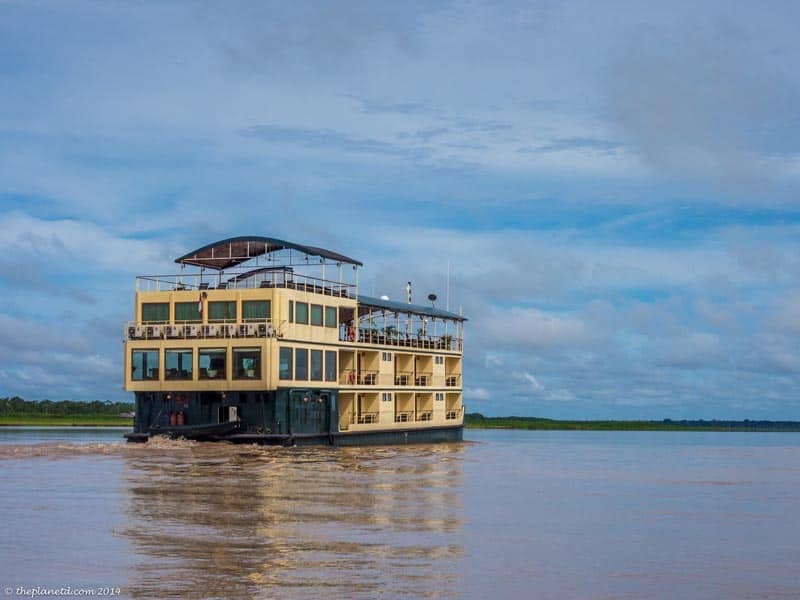 An Amazon River Cruise is a dream trip. If you think you're ever going to be bored on a cruise holiday, you'll want to book an Amazon Cruise because there is so much to see and do, you're senses will be blown away. From the incredible scenery of the world's largest river to the wildlife you could just float down the river and be content. But there are excursions to visit the local culture, try some pirhanna fishing, swimming with dolphins and even kayaking. Suites are spacious and all rooms have a balcony on the Estrella Amazonica by International Expeditions and there's an elegant dining room for breakfast lunch and dinner. At night it's a buffet feast and cocktails on deck. 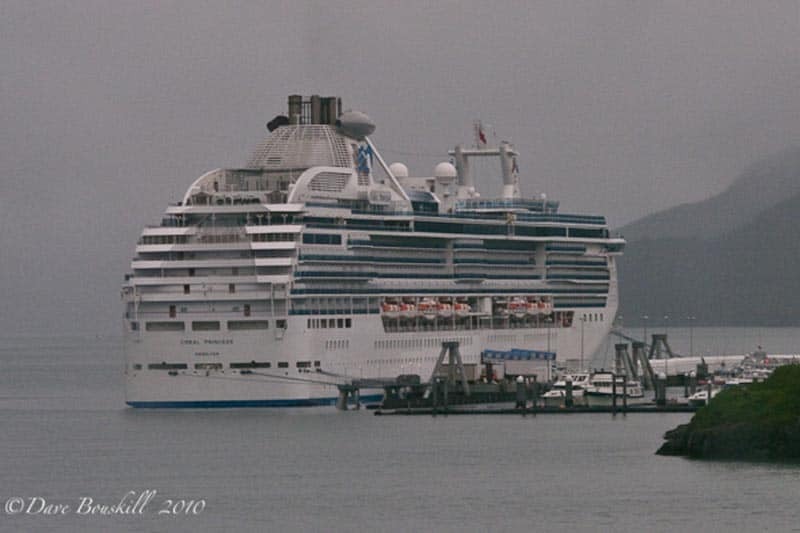 An Alaskan Cruise is a destination that most avid cruises strive to visit one day. It was the first proper cruise we've ever taken and we were amazed by all there is to do on a ship! We had spa treatments, 5 star dining, relaxing by the pool. In Alaska, they give you blankets and robes to enjoy the incredible views of Glacier Bay while having the opportunity to dive into the heated pool. But the best part of an Alaskan cruise are all the excursions you can go on. Alaska is an adventure lovers dream with flights over Denali, dogsledding, glacier landings, helicopter flights, hikes, trains, whale watching and ziplining. The possibilities are endless and the towns in Alaska are filled with friendly locals. It's the DisneyLand for adventurers. Everything is easy to do, but it costs you some cash. So be prepared. The Three Gorges of China is another bucket list item for many cruisers and probably one of the most unique cruises you'll ever enjoy. When we went on this cruise, we thought we'd be the only Westerners on the ship, but there were many avid cruisers from Europe and North America on our journey. We couldn't get over the amount of places these people had cruised. They talked to each other about their trips to Europe and the Caribbean and we listened in awe. The Three Gorges is the trip you take when you've done it all. 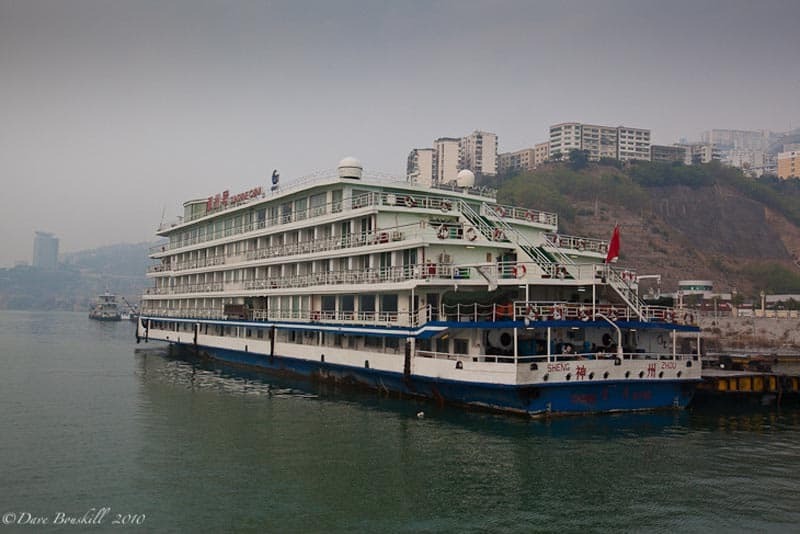 The Three Gorges cruise takes you down the Yangzi River through the incredibly massive gorges. Years ago many cities were flooded to create the Three Gorges dam and ancient civilizations are now underwater. The river level is much higher now, but the high cliffs are still massive. You stop at some cities that were moved to a higher elevation and you take smaller boat excursion to see the Lesser Three Gorges which is absolutely spectacular. Ha Long Bay in Vietnam was our very first cruise we'd ever taken in our lives. 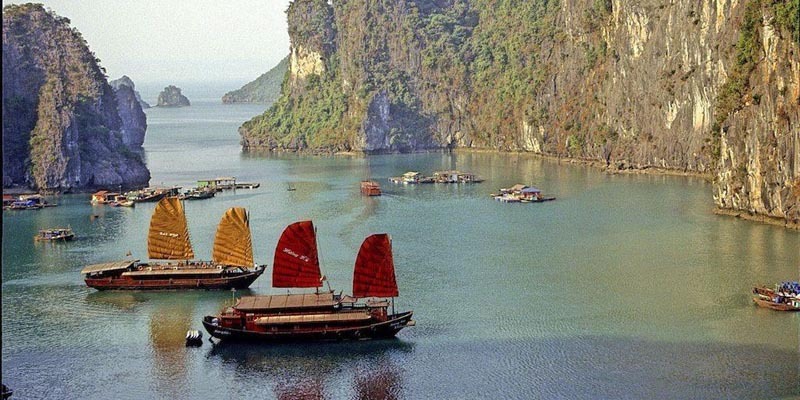 We booked a short 3 day excursion from Hanoi to take us out to Ha Long Bay where we took a trip on a traditional junk boat. The islands disappear into the mist giving an other worldly feel. When you visit the caves and step out of the high lookout to view Ha Long Bay from above, you truly understand just how magical this place is on earth. The Nile River is the longest river in the world and many river cruises sail from Aswan to Luxor (or visa versa) each week. Imagine starting off your tour visiting the magnificent Luxor Temple and the Valley of the Kings to walk into King Tut's. Then sail down the ancient river in luxury to explore more temples and ruins and life on the river. 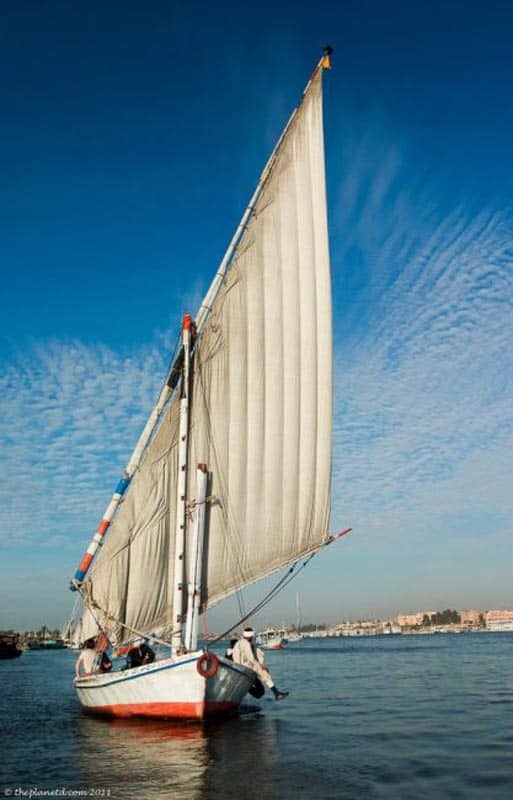 Make sure to take a felucca to sail the traditional way it's been done for centuries. If you want to take a truly unique cruising experience, the Nile River is magical and beautiful. 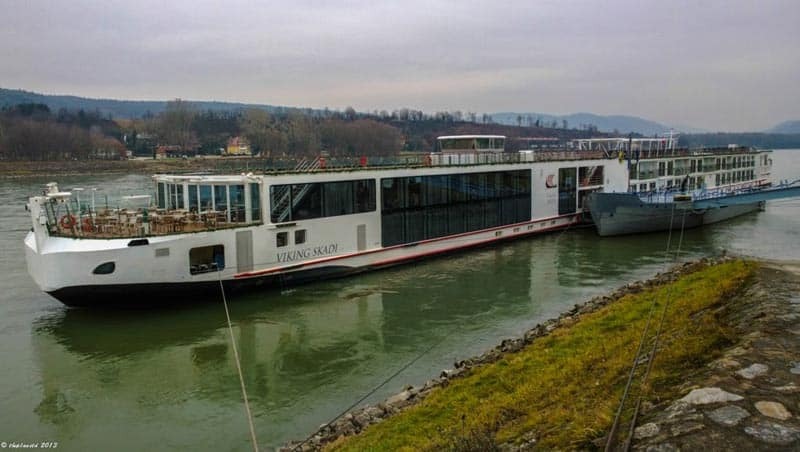 The European River Cruise is gaining in popularity as people search for unique ways to explore Europe at affordable prices. We must admit, that for the most part, you have the best room in the city when travelling by ship. Most European cities situated on rivers are built around life on the river. For a hotel room on the water you'd be paying a fortune, but on the cruise, you're parked right downtown at the port. It you want to see a lot of Europe in a short time, this could be a good option for you. We gave some tips on how to make the most of your European River Cruise. Don't make the same mistakes we did. We've been cruising around the world on 6 continents now from the bottom in Antarctic and now we take you to the top in the Arctic Circle. Greenland was another incredible cruise experience. We were lucky enough to travel on the exact same ship we cruised Antarctica on so once again, we had a polar experience in complete luxury. The Sea Spirit, didn't let us down. The Arctic rivals Antarctica for beauty. Greenland is home to the Western Hemisphere's most active calving glacier creating enormous and beautiful icebergs in the sea. Dave and I both agreed, that the ice of Greenland was more impressive than the ice of Antarctica (and that's saying a lot) Greenland is different from Antarctica in the fact that a cultural experience is added to the trip. There's still all the same adventures like kayaking, zodiac tours and taking the polar plunge, but now you can visit Inuit villages and larger cities where you can learn about Greenland's history and culture. The wildlife is a little more skittish than Antarctica as whales and seals are still hunted for their meat, but the other experiences make up for the wildlife viewings. It's yet another magical cruise that avid and new cruisers alike, should take! From Australia to Hawaii, we joined the Holland America M.S. Amsterdam on a leg of their Asia Grand Voyage. Places like Fiji, American Samoa and New Zealand can be difficult to get to and this cruise is an excellent way to add some more off the beaten path destinations to your travel experience. So that's our round up of the cruises we've taken around the world. Have you ever taken a unique cruise anywhere? What's the best cruise you've ever been on? 19 Responses to "7 Unique Cruises, 7 Different Continents"
Ah, The Mediterranean, take me back there please! 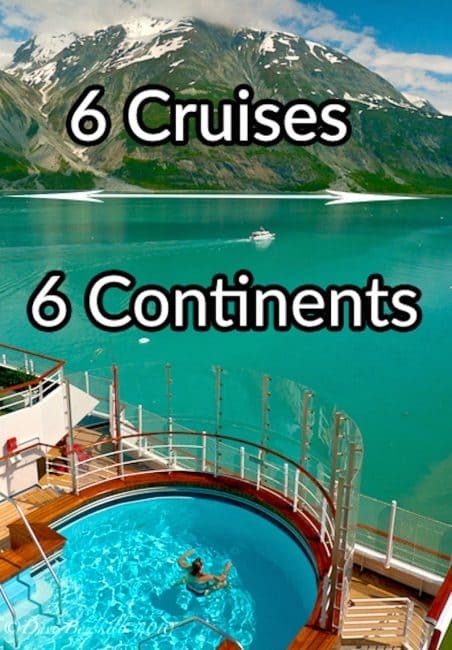 Happy to know about the unique cruises. And after visiting the blog one can easily know why they are unique. I think you have picked the six best cruises in the world with each being quite different from others…. The cruise in Antarctica looks incredible, those photos are amazing. I’ve never been much of a “cruise person,” but that Alaska one. Enjoy the Caribbean. Both an Arctic and Antarctic cruise are now on the “list” after reading blogs like yours. Yea the Nile Cruise is good but we offer more luxurious Nile cruises instead of the Felucca. Yes indeed, The riverboat cruises are much better, the Felucca was just the only photo we had from the exterior. We didn’t take any photos of our boat! These are wonderful tips and fabulous photos guys! I don’t consider myself a cruise person at all, but surprisingly, I’ve been on a a few! I’ve been on the Nile Cruise in Egypt, the Ha Long Bay Cruise in Vietnam and the European River Cruise. My favourite was the Nile Cruise. We had a small ship of just 100 people in which I was the only British people with the other guests being German! Apart from fainting on the first day because of the heat, it was one of the best trips ever. I’ve been to Hong Kong before of course, but I’ve not yet been to mainland China so I would love to travel from Shanghai back to Hong Kong, and participate on the Three Gorges of China River Cruise along the way. I have just done HaLong Bay cruise tour was realy realy fantastic. One of the unique place on the Earth, I recomend it also. 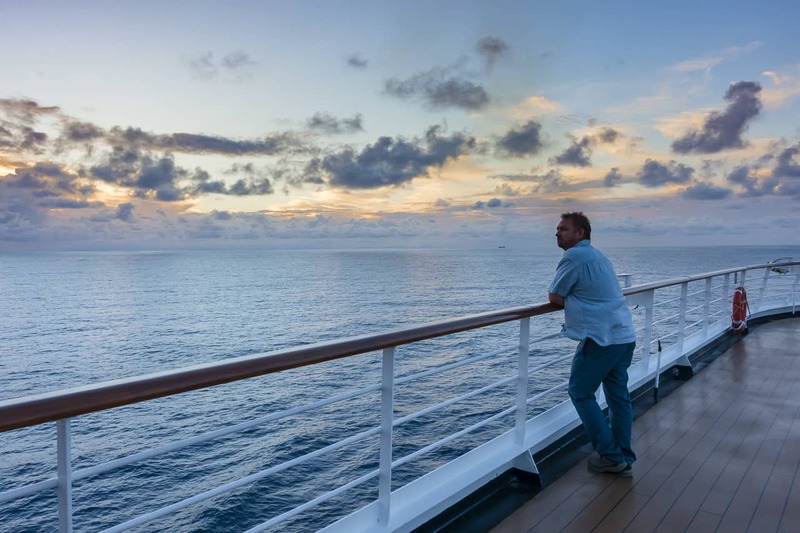 Cruises can be so relaxing and a great way to see the country, thanks very helpful article. Wow, those photos are amazing. I’ve never been much of a “cruise person,” but that Alaska one, and Ha Long Bay one sound incredible! Helpful article, thank you. Know I want to go on a few of these trips! May I respectfully suggest a sailing trip in BVI? I just did one and it was amazing! I reviewed a spa at Peter Island, but the experience of doing as you please at your leisure in such a calm sailing enviornment on a catamaran was my favorite vacation ever.